A great way to experience the outdoors this fall at the beach is to go take a hike! Yes, that’s right. 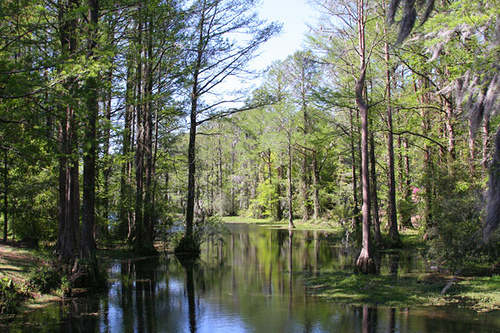 Pleasure Island and Wilmington have much to offer to outdoor enthusiasts. Just minutes from the Beacon House Inn the Carolina Beach State Park boasts over six miles of walking trails. Hike through densely wooded areas to the historic Sugar Loaf Dune and along the Cape Fear River. The park is most well noted for the abundant growths of carnivorous plants that are indigenous to our area. Look for species such as the Venus Fly Trap and the Pitcher Plant. Guided nature hikes with the park rangers are also available. There is a picnic area beside the marina so pack a lunch and spend the afternoon. Another fun beach hike takes you along The Hermit’s Trail in Fort Fisher. This well known trail begins at the Fort Fisher Recreation Area. It wanders through shady groves of trees and opens up to a wide expanse of pristine white beach. A stop at the World War II bunker gives a brief history of the Hermit. The trail continues to a birding deck overlooking the Fort Fisher Basin. If you are not so much up for a hike, try one of our lakes. Bring along a loaf of bread to feed the ducks around The Carolina Beach Lake. It makes for a nice evening walk after dinner and is especially pretty during the holidays. Sometimes overlooked is Greenfield Lake in Wilmington. Paved pathways along the lake are lined with trees draped in Spanish moss. The gazebos that stretch out over the water provide a great vantage point to see the alligators that live there. At the Beacon House Inn we invite you to explore the natural beauty of Carolina Beach on foot and go take a hike! After a long day of hiking a cocktail may just be in order! So we thought we would share this delicious fall drink! Enjoy! (Try this one on a brisk evening as a pre-dinner drink). This is a twist on the popular Appletini. Nothing is more Autumn than the combination of apples and cinnamon. The special touches of a caramel swirl inside the glass, cinnamon sugar rim, and apple slice floater makes this an impressive yet simple drink to prepare at home. Prepare garnishes – Dip the rim of a martini glass in apple juice. Then carefully dip the rim in cinnamon sugar. Drizzle caramel around inside of martini glass. Using a mandolin, make apple slices using an entire apple so that you end up with thin round apple slices to float on the cocktail. Fill a cocktail shaker with cubed ice. Pour in vodka and schnapps. Shake thoroughly and strain into prepared martini glass, taking care not to damage the sugared rim. This entry was posted in carolina beach lake, coctail, hiking, outdoors, parks by admin. Bookmark the permalink.